Our Inn offers free continental breakfast and free coffeehouse-style coffee and tea in the lobby. Our rooms feature free Wi-Fi, in-room coffee, flat-screen TV, and wake-up service. One well-behaved family pet is welcome. Book now! Walk the bricks of Main Street filled with dozens of locally owned shops and restaurants, with their farm-fresh roots, and see unique history while you're at it. Step out of Main Street and enjoy a Craft Brew or Art Gallery. There's so much to see in Historic Abingdon! Washington County Fairgrounds (6 mi) is home to the Washington County Fair and many year round events including the Tour of the Battenkill 5/11/19 and more! Book now! Shop for the latest in fishing gear at the Virginia Creeper Fly-Fishing Shop (.8 mi) or shop for the latest fashion trends at Pinnacle Shopping Center (22 mi). Stores include Eddie Bauer, American Eagle, Lane Bryant and more! Walmart is also just .5 miles away. Book now! Enjoy a day of golfing and fine dining at one of the nearby golf clubs: Clear Creek Golf Club (13.1 mi) or Glenrochie Country Club (4.1 mi). Book your tee time today and book now! With so much history, shopping, live music and outdoor beauty all around, there are many ways to have fun. The Downtown District is filled with dozens of locally owned shops and restaurants. Visit Abingdon like a local, and stay close with Red Roof. 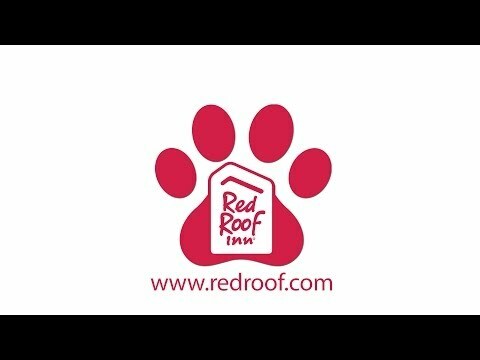 At Red Roof Inn Abingdon, you stay happy, pets stay FREE! Book now! Experience all that Southwest Virginia has to offer. Adventure Awaits! Video Credit. Book now! Red Roof Abingdon is located in the Great Appalachian Valley on I81 off exit 19. Abingdon hosts several annual fests including Plumb Alley Day, Virginia Highlands Festival and Washington County Fair. Enjoy free continental breakfast, free Wi-Fi and a microwave and mini-refrigerator in all rooms. Book now! The pet-friendly, family-friendly Red Roof Abingdon, is located in Abingdon, VA a town rich in history and named Wolf Hills by famed frontiersman Daniel Boone in 1760. Nearby natural attractions include the Virginia Creeper Trail and the Backbone Recreation Area. Not the nature type? Catch a movie at Abingdon Cinemall, play a round of golf at Glenrochie Country Club and more! Book now! Whether you're looking for a live experience or the silver screen, we have options close-by. Experience the latest blockbuster films at Abingdon Cinemall (1.1 mi)! Perfect for a family outing or a rainy day. Barter Theatre offers live performances and plays year-round. Book now! Heartwood, Southwest Virginia’s Artisan Gateway (6 mi) has it all! Experience vibrant crafts, local music, charming towns and scenic beauty filled with outdoor recreations. Southwest Virginia is very rich in culture. Downtown has been revitalized with cultural centers, coffee shops, restaurants, music venues, weekly events and more. Book now! Go hiking or biking at Virginia Creeper Trail, just 6.9 miles away, Virginias premiere mountain biking trail. Backbone Recreation Area (14.1 mi), located along Beaverdam Creek. Head to the top of Backbone Rock, go dishing, grill, or picnic. Stay with us! Book now! Visit a family member or a friend, explore the campus or attend an event at Emory & Henry College. Plan ahead - we're just 7.5 miles away. Your affordable & comfortable stay starts here. Book now! Experience the high octane thrill of racing at Bristol Motor Speedway (26 mi)! Don't miss all the exciting events or even book a tour of the race track! Tours take place daily. Upcoming events include the UNOH 200 & Bush's Beans 150 (8/15/19). Book now! Never miss a flight and stay close to Virginia Highlands Airport (VJI). Just 7.6 miles away. Book now! The SW Virginia Higher Education Center in Abingdon offers meeting space, development opportunities, and education for older adults. TripAdvisor Review: "Very nice place to stay!!" "Stayed here for the Bristol NHRA races. It was very nice, clean and no trouble to find at all. Not noisy or any problems I seen. Could use some cosmetic updates but very nice. Not a lot of great viewing area but nice. While we were out, house keeping cleaned really good and restocked our needs." Click here for more reviews. Book now! Our location is right by a bunch of different dining options! Enjoy Cracker Barrel (.2 mi), The Tavern (2.1 mi), Wolf Hills Brewing Company (2.1 mi), Rain Restaurant (2 mi), Harbor House Seafood & Steak (.3 mi), 128 Pecan (2.3 mi) and more! Book now! Rest easy knowing that Johnson Memorial Hospital is only 1.9 miles away. Book now!